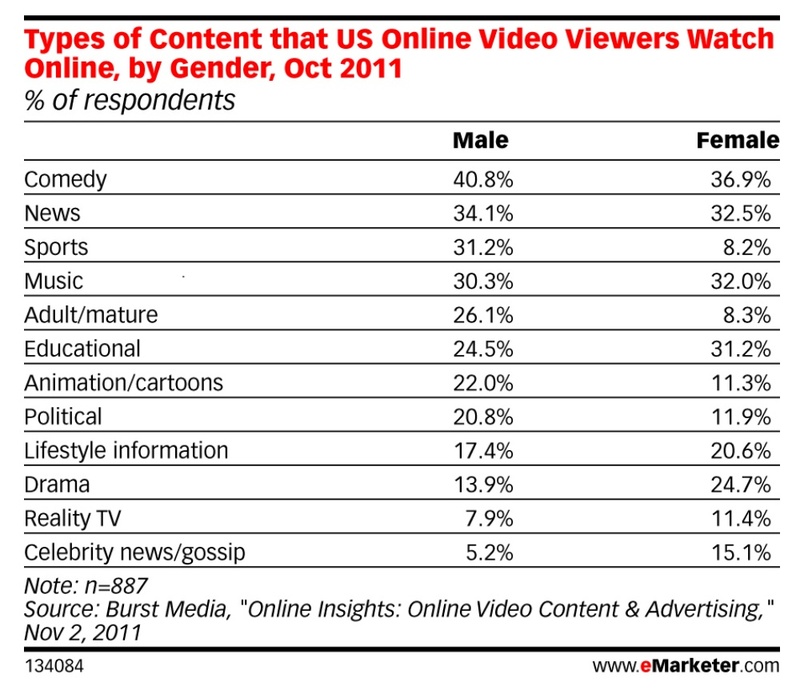 eMarketer released some interesting statistics regarding online video and I wanted to include them since I wrote about it in two blog posts. 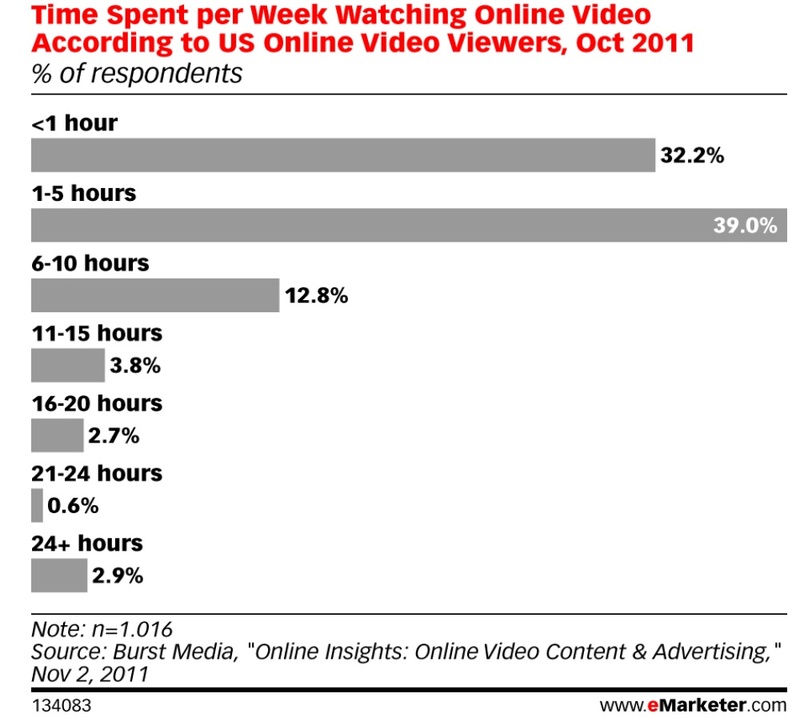 Most people spend between one and ten hours a week watching video online. It will be interesting to see this stat in 2013 as I predict that time will increase. Comedy and news take the two top spots. I wonder if you broke this down further as to what consumers are actually looking at for a retailer such as Overstock.com: Is it clothes, electronics, or other things?